Product prices and availability are accurate as of 2019-04-18 05:36:33 UTC and are subject to change. Any price and availability information displayed on http://www.amazon.com/ at the time of purchase will apply to the purchase of this product. 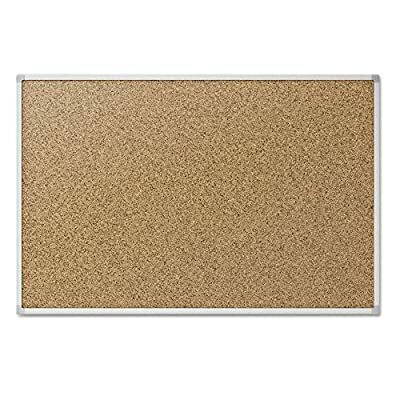 The Mead Cork Bulletin Board features a sleek but durable aluminum frame and self-healing cork construction. Push pins easily secure items to the board, and pinholes disappear when the pins are removed. This board features the SureLock mounting system that makes hanging a cinch. Sized for personal use, this convenient board fits well in any space. Choice of available sizes. Cork surface with aluminum frame. Cork never shows pin holes. SureLock corner hanging brackets included.